A quick and easy (of course) pasta salad to go with any picnic. You will need 1 pound of good Italian quality Orzo Pasta, 1 package of Weber® Just Add Juice® Citrus Herb Marinade, ½ cup orange juice, ¼ cup Mazola® Corn Oil, ½ cup red onion, finely chopped, 1 English cucumber, see below on how to prepare it, 1 cup cherry tomatoes, quartered, 6 ounces feta cheese, 2 tablespoon black olive, sliced and 2 tablespoons freshly chopped cilantro. 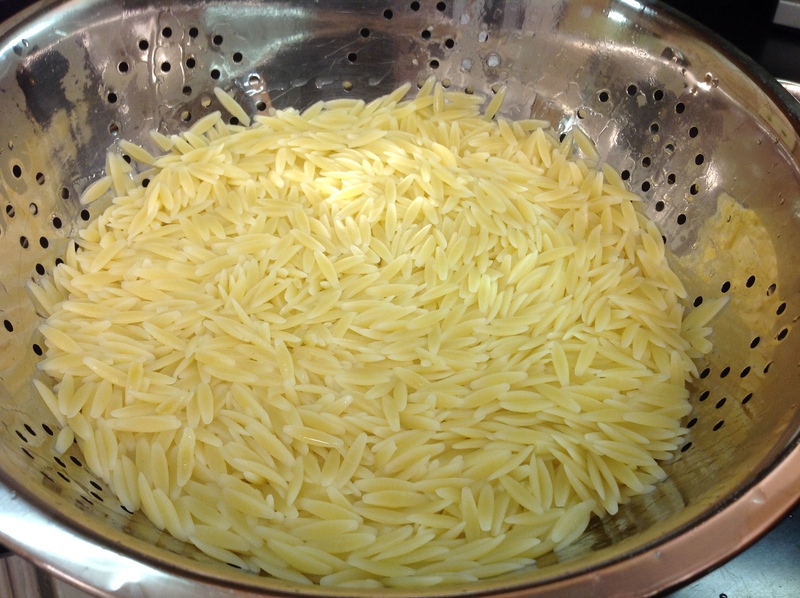 Boil pasta according to directions, drain and set aside until cooled (I place the cooked pasta on a large baking sheet for quick cooling). In a medium sized mixing bowl add marinade, orange juice and corn oil. Whisk until well combined. When preparing the cucumber, peel skin, but not totally, see below. 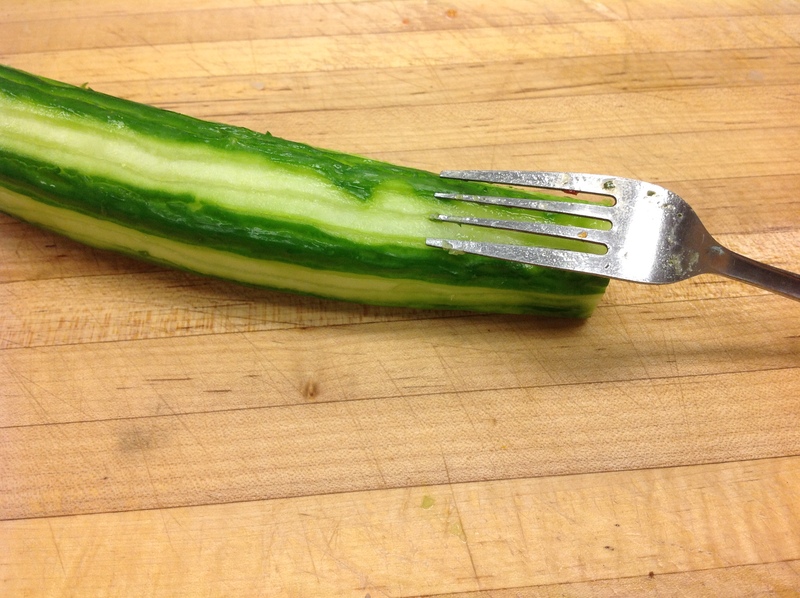 Use a fork to make ridges into sides of cucumber. 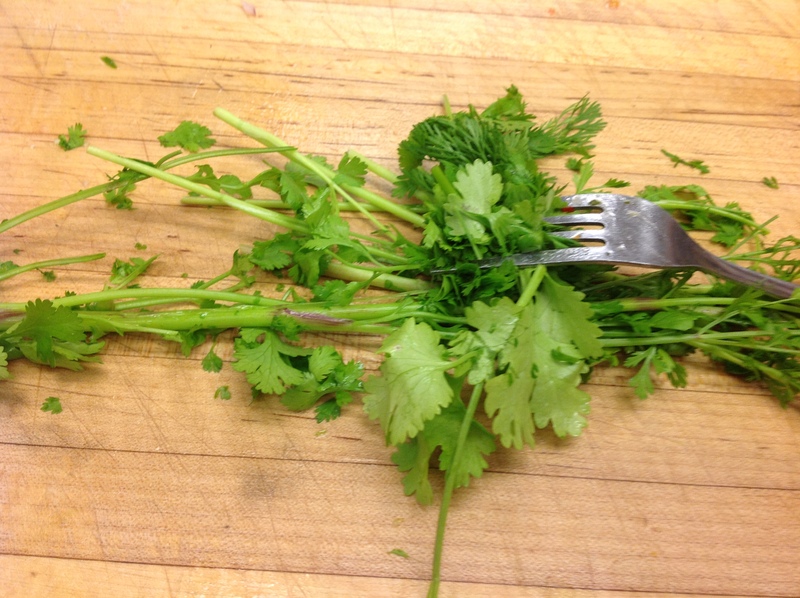 Add remaining ingredients to bowl, use a fork to remove herb from cilantro stems. Add cooked pasta and toss until well blended. Serve immediate or refrigerate for later use. Combine marinade mix, orange juice and corn oil in a large mixing bowl. Whisk until well blended. Add cooked pasta and remaining ingredients. Stir until well combined. Serve with additional cilantro for garnish, if desired.